The Centennial Pool fund raising event, “Everyone in the Pool,” brought the total fund raising to help reopen the pool to $75,000. Access Publishing donated $2,000 toward community effort to improve summer recreation. “We are excited to have been able to this worthwhile cause,” said Scott Brennan, CEO of Access Publishing. “A huge thanks to City Councilman Steve Gregory for spearheading this campaign. 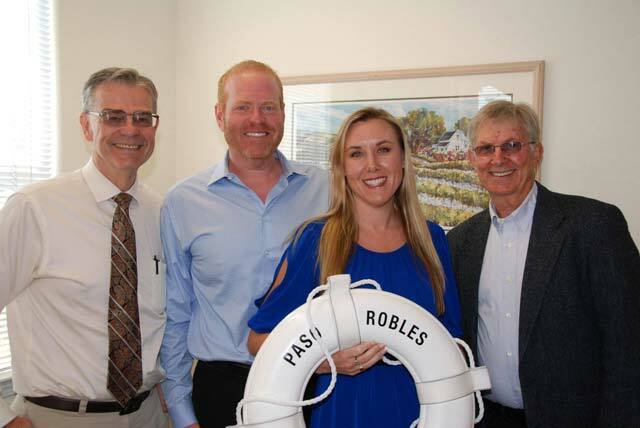 “On behalf of the Paso Robles “Everyone in the Pool” Committee and our community, we thank you for your generous contribution to the Mayor’s First Annual community fundraiser, Gregory said. “Your contribution and all of your in-kind advertising will help defray the cost of repairing and re-opening Centennial Park pool. The community turned out to enjoy Saturday’s event at Centennial Park. The evening included dinner, a silent and live auction and island themed entertainment. Arriving guests were treated to the steel drum sounds from Chrome Addicts and dinner music was provided by the Hawaiian sounds of Na Hoaloha. Hula dancers from Na Mele O Ke Kai entertained with traditional Hawaiian songs and dance. Food was prepared and served by the Paso Robles Culinary Arts Academy. 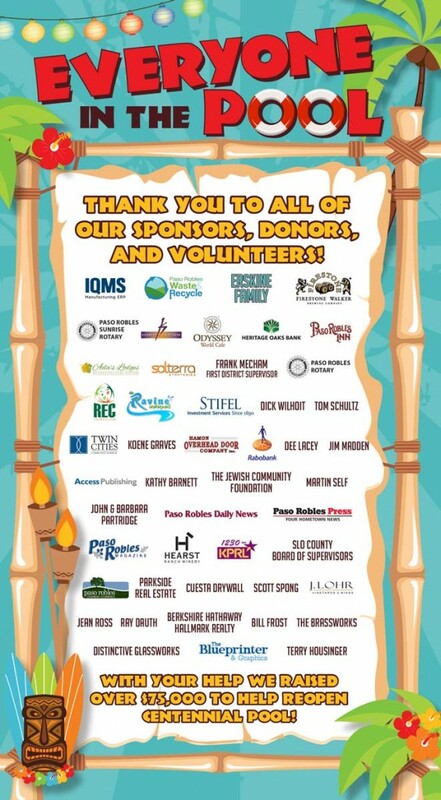 Several local business stepped up to sponsor the event. Major sponsors are commemorated with special “lifesaver” signage that will be on permanent display at Centennial Pool.